Sofia Smithers is an Argentinian Australian artist. She is a singer, songwriter, pianist, also dancer, choreographer, actor and screen composer. Her debut EP (CD) titled, Señorita Piano, was released on 6th March 2015. 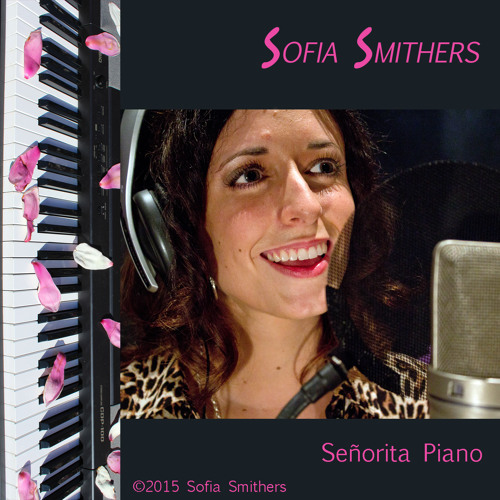 You can buy it on iTunes at: https://itunes.apple.com/au/album/senorita-piano/id969363578 or just search for Sofia Smithers on iTunes. Sofia Smithers' music video of her song, 'Latin Fiesta' was also released in March 2015 and you can find it on her official YouTube channel. Music Video link: https://www.youtube.com/watch?v=sXbJs1zL69o YouTube channel: http://www.youtube.com/user/sofiasmithersmusic Facebook: www.facebook.com/SofiaSmithersMusic Twitter and Instagram: @sofia_smithers To hear her screen music, head to: http://soundcloud.com/sofia-smithers-music Triple J Unearthed artist page: https://www.triplejunearthed.com/artist/sofia-smithers More information: www.starnow.com/SofiaSmithers To contact Sofia, send an email to: sofia_m_b_smithers@hotmail.com Sofia Smithers is a member of APRA/AMCOS (Australia's copyright and royalties association).